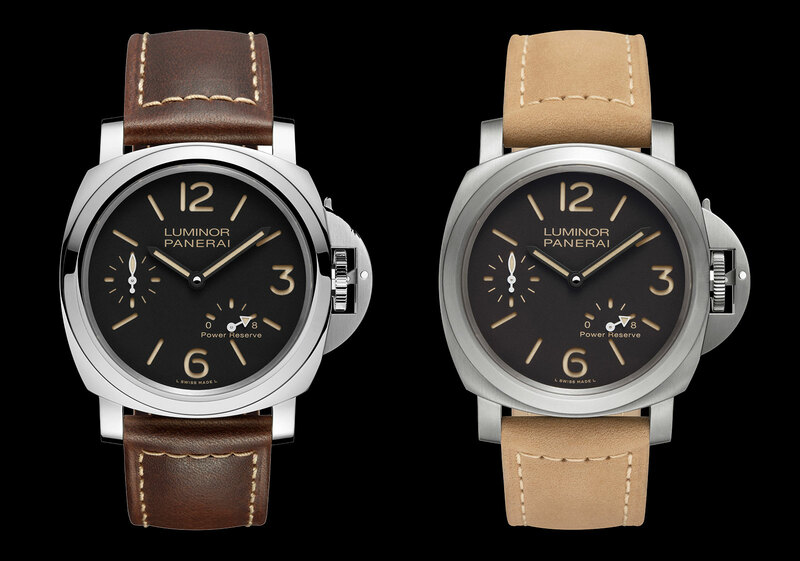 Panerai’s latest trio of watches share the power reserve function, in-house movements, and the classic 44mm Luminor case rated to 300m. Two have the conventional crown and a power reserve on the dial, while the third is a left-handed, or destro, watch with the power reserve display on the back. 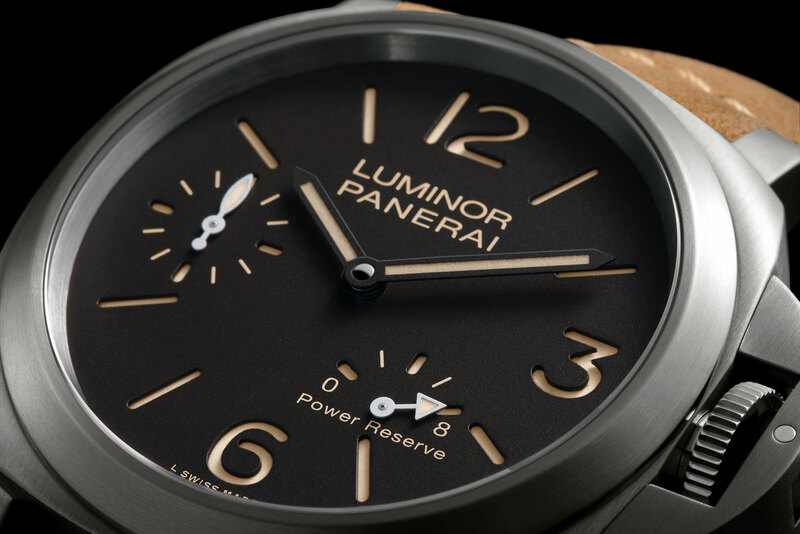 The first is the Luminor 8 Days Power Reserve Acciaio (PAM00795) that’s in stainless steel with a black “sandwich” dial and beige Super-Luminova. It’s powered by the cal. 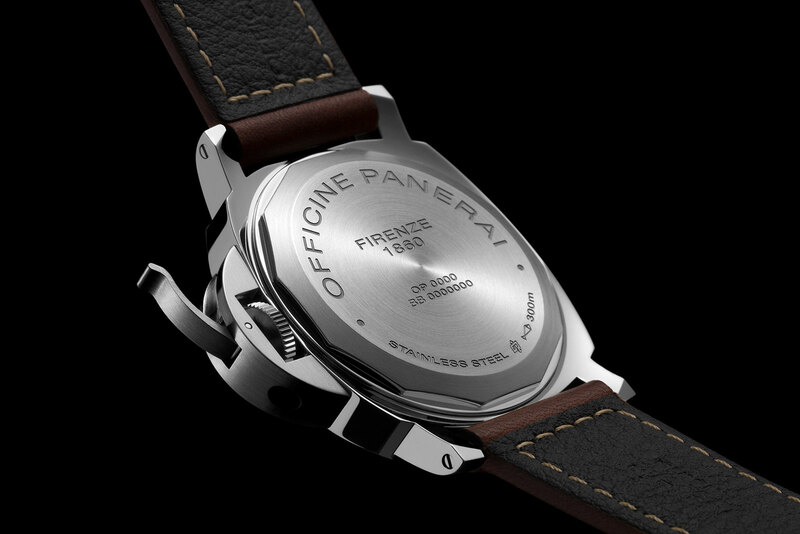 P.5002, a hand-wound calibre with the power reserve indicator in between four and five o’clock. The case back is solid and screw-down. 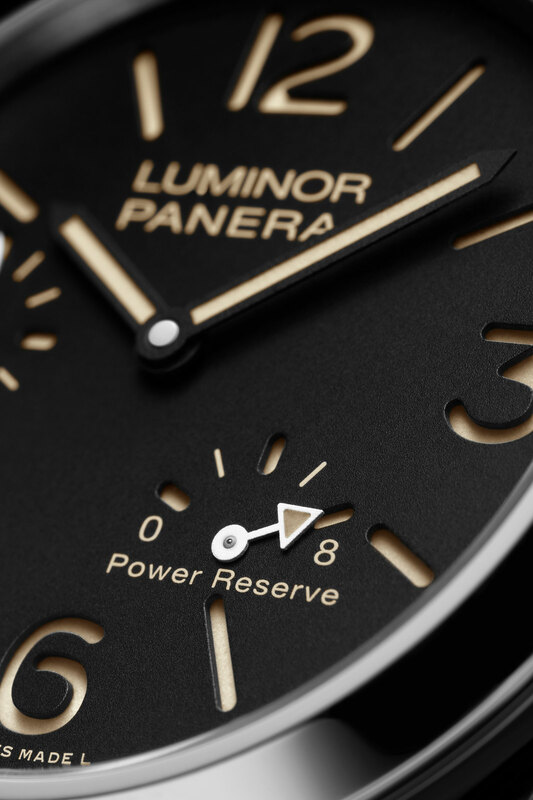 Notably, the power reserve hand is tipped with an arrowhead, a detail drawn from the earliest contemporary Panerai models, namely the Luminor PAM 27 and PAM 28 from the “A-series” of 1998. 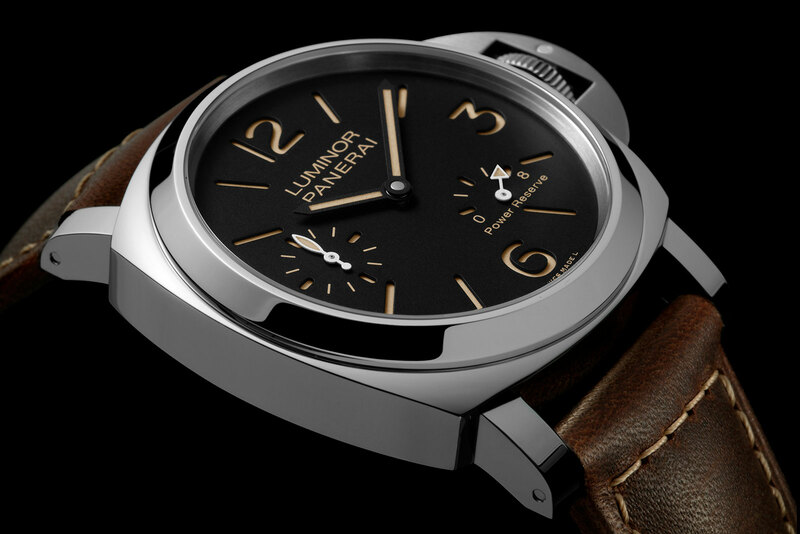 The Luminor 8 Days Power Reserve Titanio (PAM00797) is essentially identical, save for the brushed titanium case and dark brown dial. And then there’s the Luminor Left-Handed 8 Days Acciaio (PAM00796), which is the most affordable of the trio by a small margin, and also the most modern looking thanks to the touch of blue on the dial. 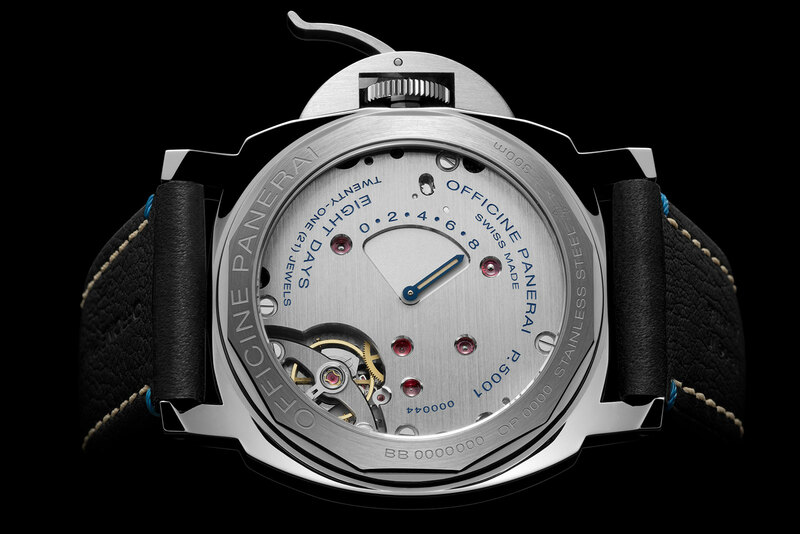 It has the crown on the left side of the steel case, and the P.5001 movement inside. This has a display back that reveals the movement, which has a power reserve display on the three-quarter plate indicated by a more conventional baton-shaped hand. All three watches are delivered on leather straps but accompanied by an additional rubber strap. The Luminor 8 Days Power Reserve Acciaio (PAM 795) is priced at US$7000, while the Luminor 8 Days Power Reserve Titanio (PAM 797) is US$7400. And the destro Luminor Left-Handed 8 Days Acciaio (PAM 796) is US$6900. In Singapore, they are priced at S$10,000, S$10,600 and S$9800 respectively. 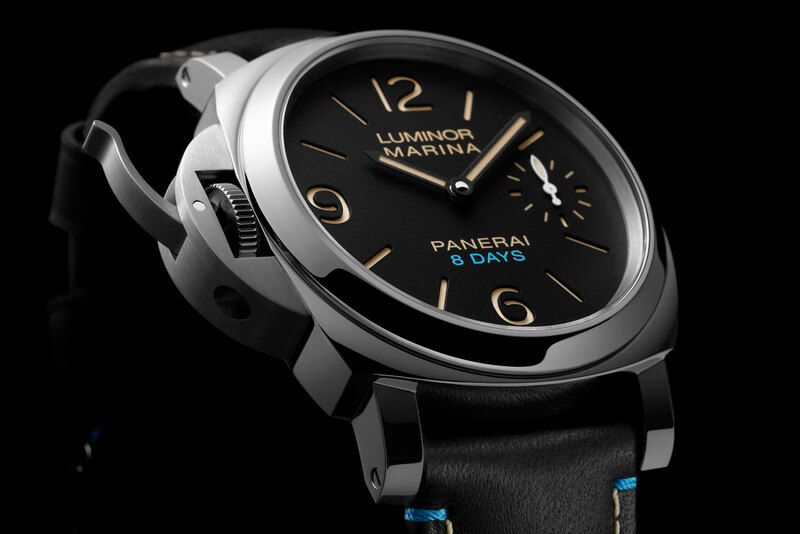 All three are already available at Panerai boutiques and retailers. A pair of remakes based on the Pre-Vendome Slytech watches of the 1990s, the Luminor 8 Days Set PAM00786 is made up of a Luminor Black Seal "Destro" and Luminor Daylight.